Prayer has undergirded the achievements, sacrifices, and faithfulness of the Reformed tradition since its beginning. 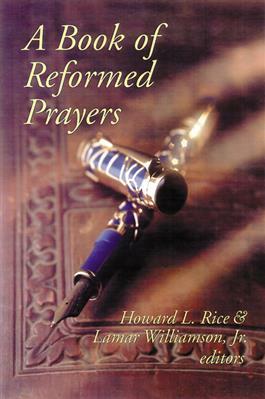 And the ways in which Reformed Christians pray have been as varied throughout the centuries as the many denominations that are included in the Reformed tradition. Howard Rice and Lamar Williamson have gathered more than 200 prayers from the Reformed tradition, organizing the prayers chronologically by century. They provide historical information and biographies of each author to enhance readers' understanding of each prayer within its own context. This book is ideal for both reference and personal devotion and will inspire a new appreciation of the piety of the Reformed heritage.